Single continuous escalators provide connections to subsequent building levels by connecting them directing with one-way circulation. Unlike discontinuous layouts, continuous designs provide users with quick and efficient vertical circulation between multiple levels. 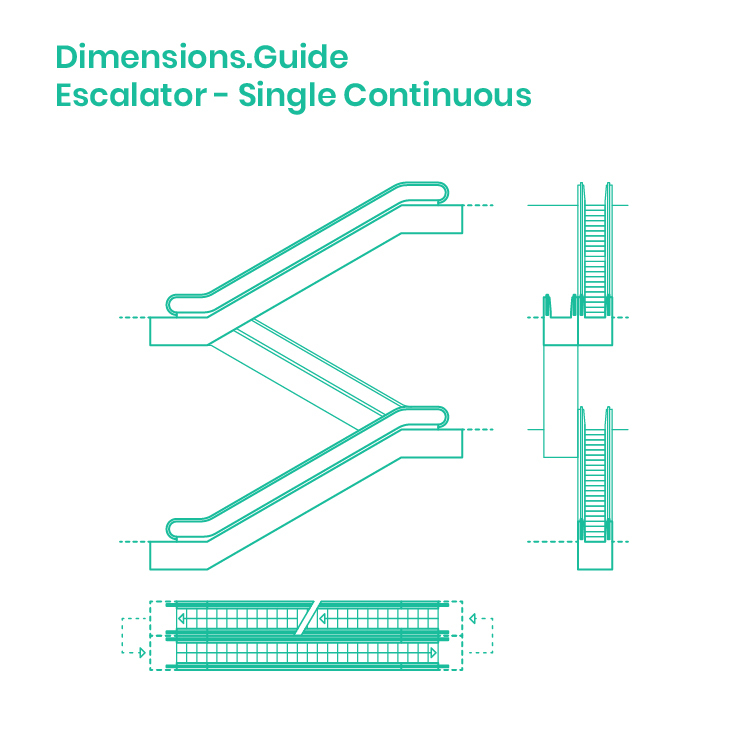 Though single continuous escalators only provide movement in one vertical direction, they can be combined with parallel continuous systems in either a paired continuous or crossing layouts. Single continuous escalators should be used in retail and commercial spaces where speed and efficiency are important for operation.